Making Money your Friend can help you explore your beliefs, attitudes and expectations about money, often hidden and surprising. What is your money personality and the qualities you may have that attract or repel money? Learn how to integrate your body/mind with an easy kinesiological repatterning program to erase feelings and qualities that interfere with your success. Build your Money self-esteem by clearing your obstacles to financial independence to create a healthier relationship with money. Stress/Eustress: Who is Driving Your Bus? Touch for Health has survived and grown over the years due to the tireless and loving efforts of dedicated people like Jan Cole. Teacher, author, former TFHKA President and tireless activist, Jan has traveled the world speaking and teaching on the benefits of the Touch for Health energy kinesiology techniques. Jan has taught classes or been a guest speaker in Canada, Russia, Australia, New Zealand, England, Austria, Italy, Switzerland, Argentina and Guatemala. A model of volunteering, Jan served as President of the Touch for Health Kinesiology Association for four years and served on the TFHKA Board of Directors for seven years for the organization, plus volunteering in numerous other positions associated with conference planning and newsletter production (editor, writer and layout). Jan also served as the President of the Colorado Holistic Health Network from 1981-83. Jan has authored two books, Repattern Your Sabotaging Ways and Making Money Your Friend. Jan provided extensive care for her elderly father for seven years, using her varied knowledge to help his later years be more comfortable. Jan also teaches a variety of classes and sponsors classes for some of the world's leading kinesiologists. Jan's comprehensive training in wellness, nutrition and wholistic health training began in 1974 and includes: acupressure; diet and nutrition; relaxation and stress reduction techniques; Neuro-Linguistic Programming; Body Electronics; Polarity Therapy; Metamorphosis; Feldenkrais Method; Ayurvedic health; Body Centered Psychotherapy with Ron Kurtz; Reiki and others. 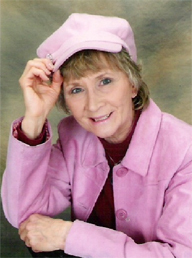 For 30 years Jan served as an elementary teacher, in Northglenn, Colorado, before retiring in 1998. Beyond responsibilities as a teacher, she served on various school curriculum and planning committees during her 30-year career. Even as a teacher, Jan was a volunteer and a leader and served as: faculty representative to the teacher’s association over 20 years; member of the Executive Board 4 years; Public Relations Chairperson 2 years; State capitol liaison for teachers; elected to serve as a state delegate for 8 years and 5 years to the national teacher conventions. Jan received awards for her work in education and in 1988 she received the honored state Lion Advocate Award for Standing Up for Teacher’s Rights and Academic Freedom from the Colorado Education Association and in 1995 received the Central Adams Uniserv Teacher’s Hall of Fame Award after enduring attacks by Far Right affiliated groups. Jan's formal education includes A.A. Concordia College, St. Paul, MN; and B.S., M.A. from the University of Colorado plus related course work from numerous universities.